999999999 000000005 vinyl at Juno Records. Fresh from serving up some savage "Rave Reworks" on an ultra-limited 12" single, techno's leading number crunchers return with an EP of fresh studio jams. As usual, what's on offer is intense, full-throttle and mind-altering in the extreme. 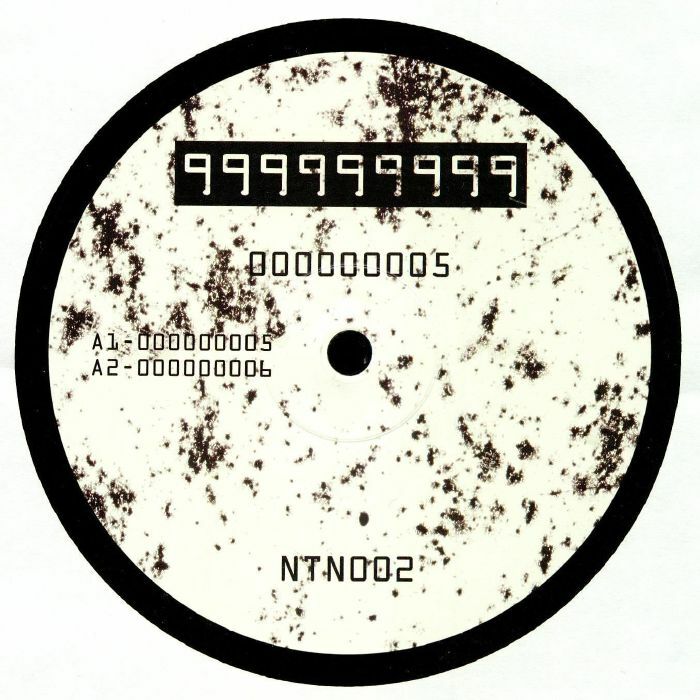 Check, for example, opener (and title track) "000000005", where increasingly ragged, wayward and psychedelic acid lines surge forwards over a stomping, kick-drum dominated beat, or"000000006", an acid techno onslaught that waves a glow-stick towards the Halcyon days of German techno-trance. The acid-fired '90s techno revivalism continues on the flip with two more chunks of sweaty, mind-altering peak-time insanity. Not one for the faint hearted.